Melanie, concerned about online privacy, asked the Antivirus & Security Software forum who can see her IP address and how serious a problem that is. But it's not as scary as it sounds. Assuming you're using a router (as you should), those web sites can only see the router's IP address, not your PC's. They can't tell who in the house is visiting them—a small comfort, I admit, but this also protects you from certain drive-by malware attacks. What can website administrators find out about you from your router's IP address? They can identify your ISP and figure out approximately where you're located. They will likely be able to identify your neighborhood, but not your home. And they can see how often you (or someone else sharing your router) visit their website. And, of course, if you take your laptop to a coffee house or library, you'll have an entirely different IP address there (and public network security issues to consider). 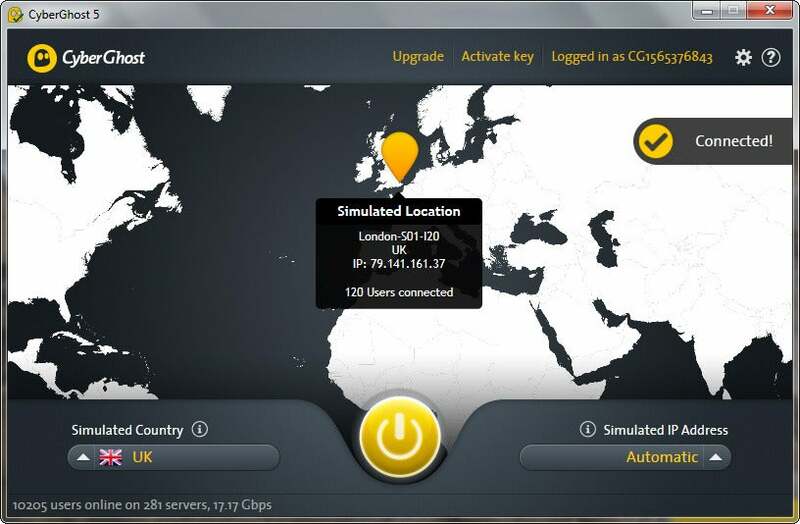 CyberGhost offers a free VPN service you can use to conceal your IP address. If you're still worried, you can use a Virtual Private Network (VPN). Once you've set one up, your Internet connections travel encrypted from your computer to the VPN server, and from there, unencrypted, to their final destination. The sites you visit see only the VPN's IP address. The problem, of course, is that the VPN can see everything you do. I don't use a VPN on a regular basis, but when I do, I currently use the free version of CyberGhost. I'm satisfied with it.